Size : medium, packaging : 500 per case. 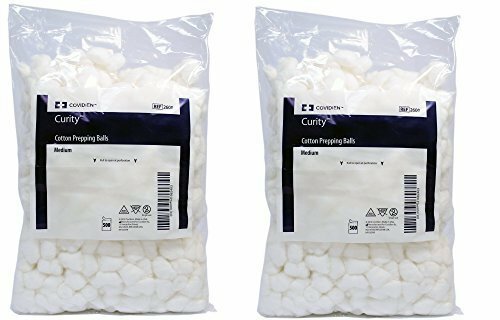 Curity cotton prepping balls. 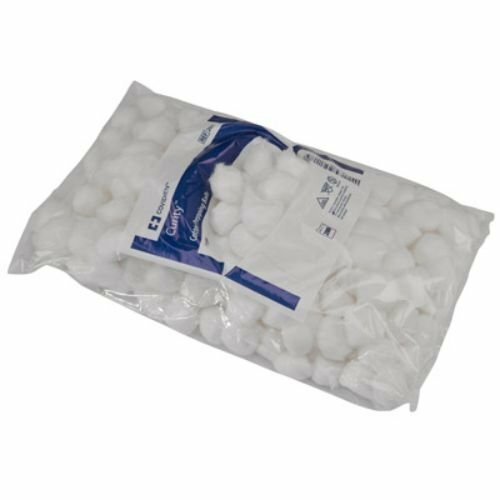 100 percent cotton balls designed for a variety of applications. Non-sterile. 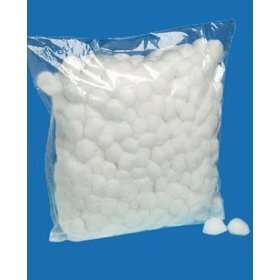 These are 100% Cotton balls designed for a variety of applications. 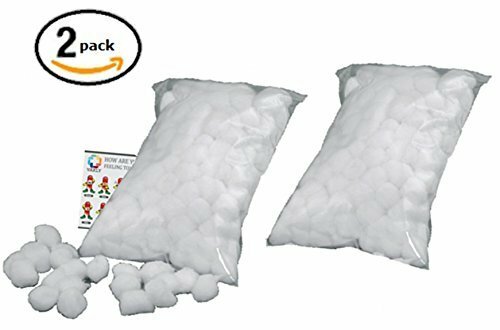 Vakly cotton ball kit are top quality cotton balls made by Kendall/Covidien. 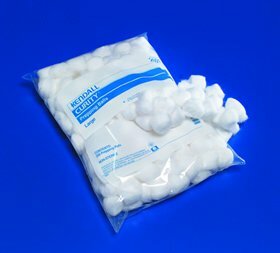 These medium prepping cotton balls are made from medical grade cotton fibers to provide the greatest uniformity and highest absorbency. This kit comes with a fun Vakly How Are You Feeling Sticker that is 4''x5.5'' that will make you smile whenever you see it. KENDALL HEALTHCARE. 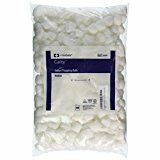 Curity Cotton Prepping Balls,Non-Sterile Absorbent Cotton Balls, Large - 200 ea by KENDALL HEALTHCARE.